When we talk about Fencing projects, I know someone would want to wonder why fencing is very important to us. Well, fence is very important as it helps secure your plot of land from encroachment. Now I am going to write on how you could easily calculate the number of Blocks Required to Fence a Plot Of land with ease. 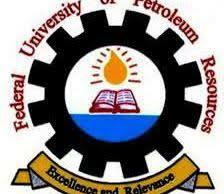 As the title clearly states, Federal University Of Petroleum Resources ,FUPRE is currently inviting Application from suitably qualified candidates to fill the following vacancies in the Federal University of Petroleum Resources.